The word prohibition has lots of meanings. From the earliest history of "earth building" there was religious ban to eat an apple from the tree. But a human nature is not so naÃ¯ve, everything that is banned, prohibited we want to try and to find out "why can't we do this?" The rules exist in order to be broken, and we tend to follow this saying. The gambling question during the whole history of its existence has suffered much from its usual prosecution. From the earliest times it's considered to be something depraved and even devilish. Authorities never have had positive attitude towards "mad" money, addicted gamblers, and bankrupt status. The first law that was uncovered bears its origin in Italy in the 3rd century B.C. and it was called "Lex aleatoria" . The gambling craps was banned and its bold spirits were punished in the worst way: they were beaten and left in misery, and not even by some kind of government, but by other gamblers whom they owned money. The usual cards that have captured the humanity with the varieties of games were born in China along with the issue of paper money. But in spite of its native origin and in spite of the general fact that Tarot are considered to be the first prototype of card games, gambling was horribly prosecuted in China. There are lots of reasons why gambling was prohibited and prosecuted and religion was the main initiator of banning the games for money. Speaking about different countries throughout the entire gambling laws history, some of them allowed playing but only along with additional restrictions. But in some regions gambling was like a sin incarnation and it was impossible to play. Judaism and Islam and all the attached countries, especially Talmud equaled ta winning player with a thief, that had achieved money without any enforcement and thus in some way harmed his psyche. They even were forbidden to participate in the court, being unable to sincerity. Mormons, the separate sect, also forbad gambling. And even now in the state of Utah the inhabitants can't deserve themselves into this amusement. In the Christian world everything was not so strict and the attitude was more loyal. In the Middle Ages the gambling craps "Ludus clericalis" had the spiritual symbolism. Medieval craps in France even considered to be serving the soul rescue. The states tried to root out the idleness and wastefulness, and that's why gambling was slightly prosecuted. In England due to Henry VIII, which was a gambler himself, was announced the prohibition towards wagering houses, and this law had been held till 1960th. Prussia had the strictest ban of gambling, and from 1868th the gamblers even were arrested. 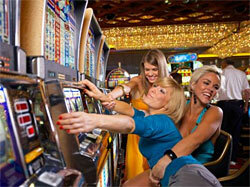 In Russian Empire, there was money penalty for the gamblers that wanted to earn money in casinos. Then it was the prisoning and the cards' tax. In 1782 wagering houses were closed. As you see, religion played the most important role in the historical persecution and prohibition. The governments also till now want to make its citizens be fond of something productive but not the mere chance games where they forget about responsibilities.